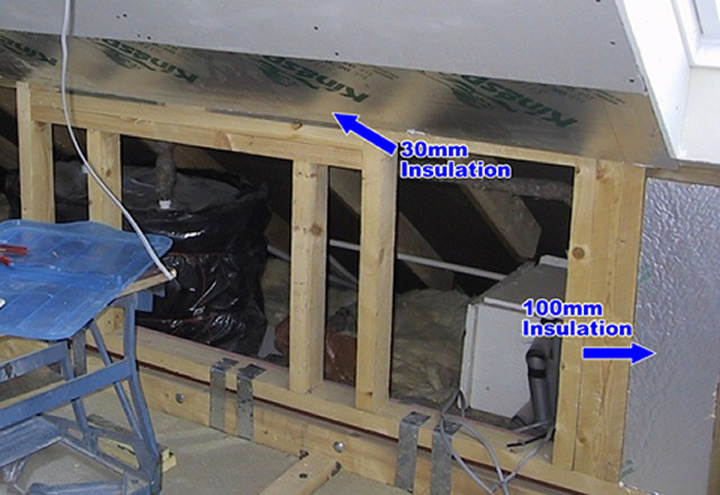 We fitted 100mm Kingspan(cheaper than Celotex) insulation between the joists and 30mm over the joists this gave us a U-Value of 0.2W/m²K this meet building standard at the time of the build, but these are always changing so check with your local planning authority(see above). 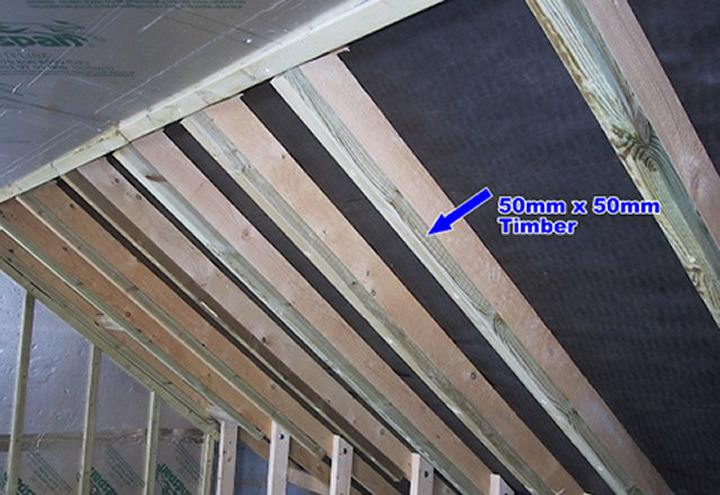 We had to secure 50mm x 50mm timber on the under sides of the roof timbers(see below) to keep a 50mm air gap between the insulation and the roof tiles/felt. You must also seal all the joints between the sheets with foil tape to prevent moisture escaping from the room and causing the joist to rot. We also fitted ridge tile and soffit board vents to keep the roof timbers dry. 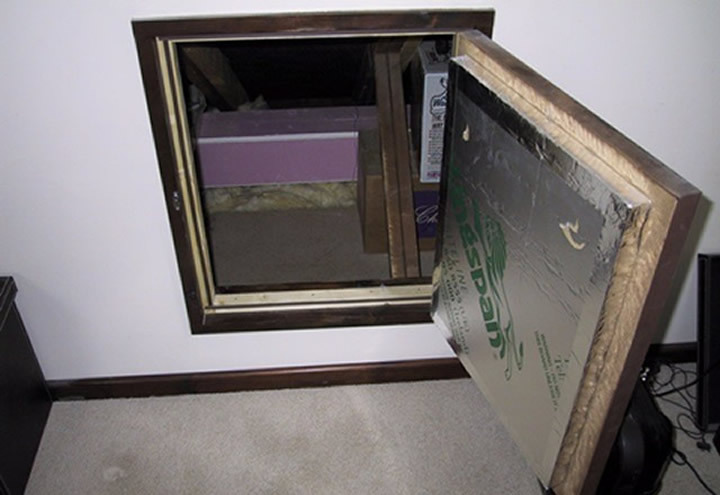 Don't forget to insulate the loft access doors and fit draught seals.